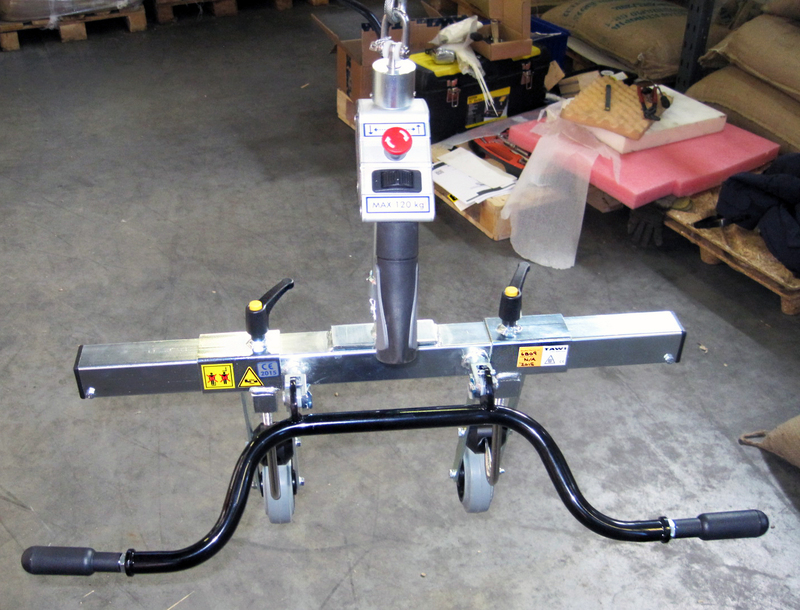 This ViperHoist120 with special twin hook tool is suitable for lifting jute sacks. Jute sacks are very common in for example coffee/tea manufacturing and the sacks cannot for natural reasons be lifted with standard vacuum lifting techniques. When the wheels reach the sack the tool moves forward, thus revealing the hooks which are used to grip into the fabric of the jute sack. The ergonomic handle ensures safe, easy and smooth operation. 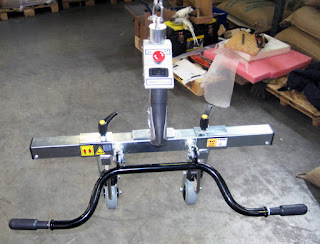 More information about ViperHoist wire hoist is available here. You can also click here to read more about our various sack lifting solutions.